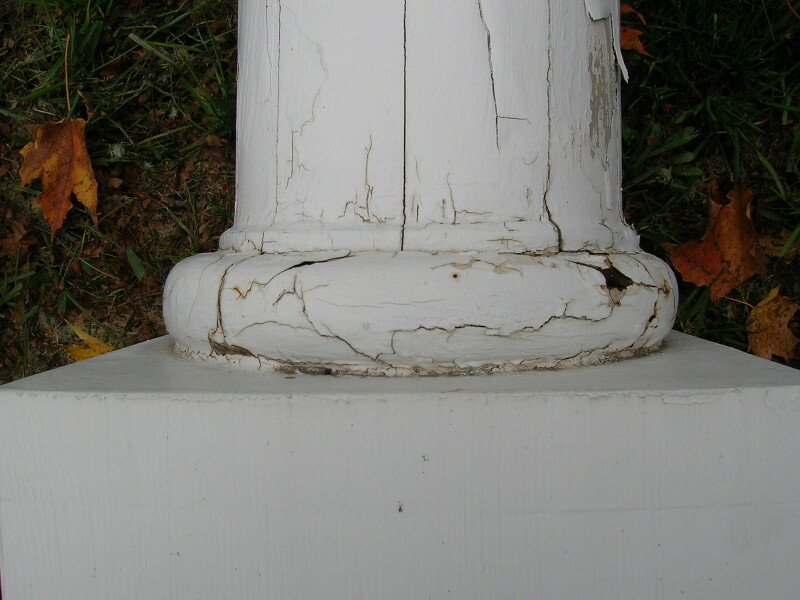 From a portico on an early 1800's New Hampshire house. 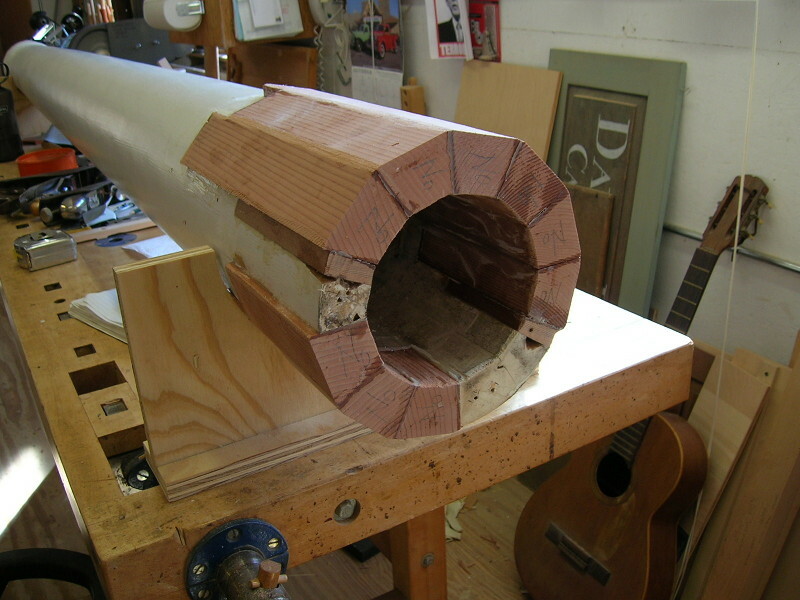 The two columns, and bases, were badly rotted at the bottom. 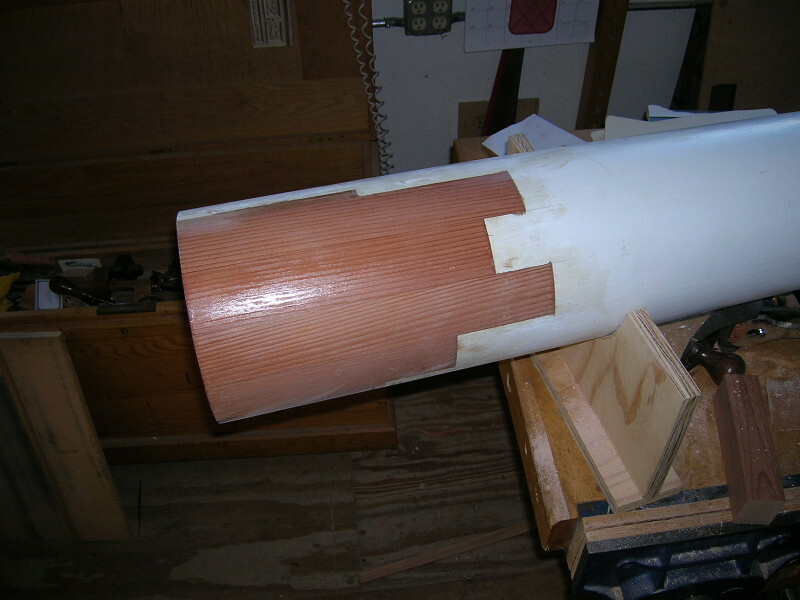 The columns were coopered construction: I removed the bases, and cut back the staves to undamaged, solid wood. I fitted and epoxied in redwood patches (I used redwood for rot resistance). 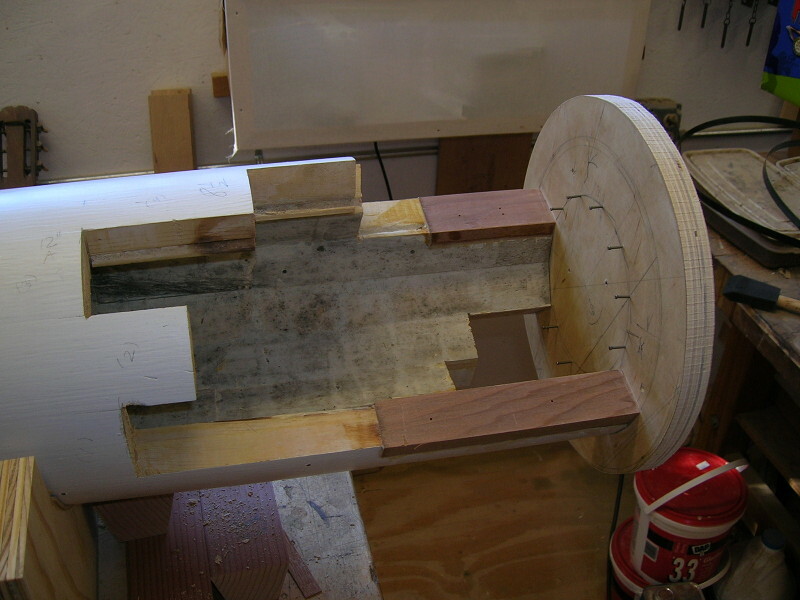 The patches were trued and smoothed off with hand tools. 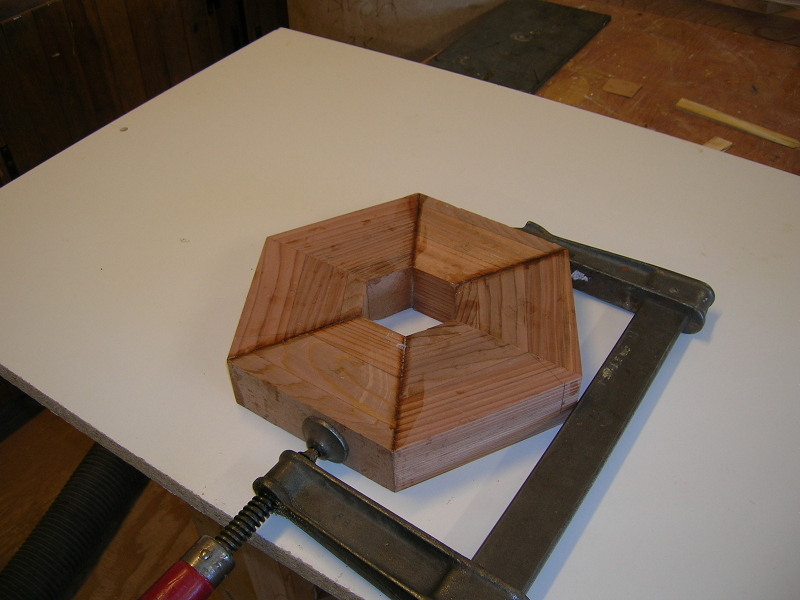 I made replacement bases, first gluing up redwood blanks. 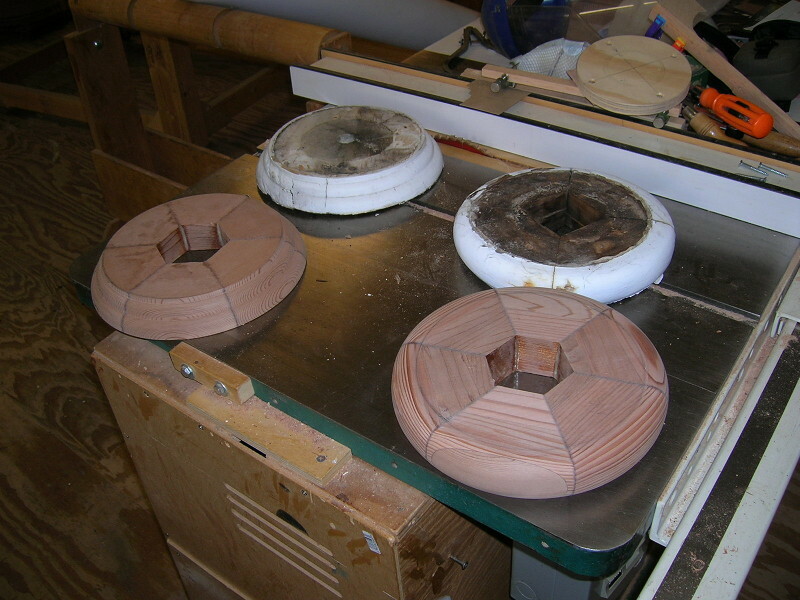 The blanks were turned on the lathe to match the originals. 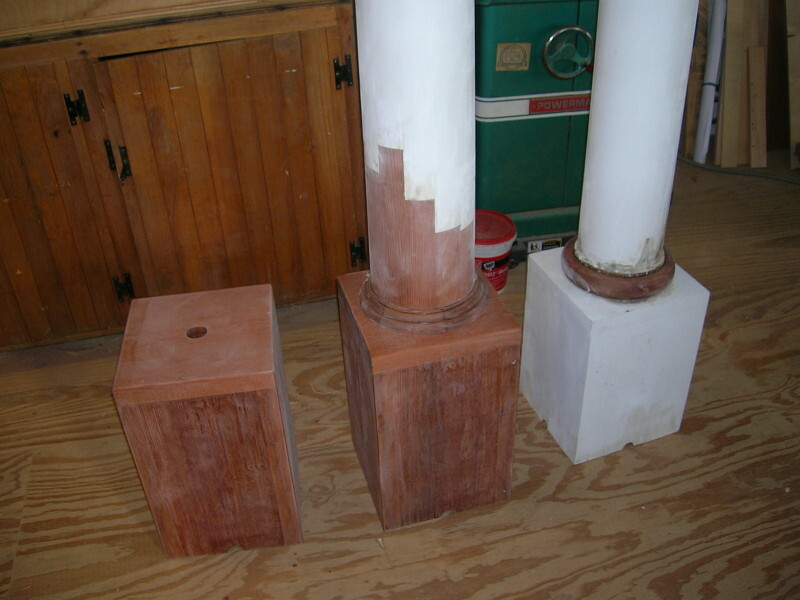 The squared plinths were remade with redwood, and the columns reassembled and reinstalled.